Last week a new restaurant opened at Briarwood Mall! P.F. 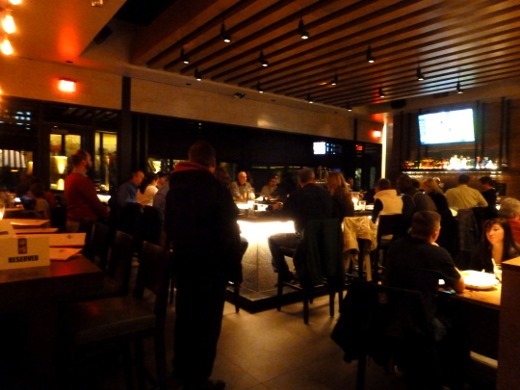 Chang’s is one of the more upscale choices in the world of chain restaurants, and now Ann Arbor has one of their own. I have to admit that I’ve long been a fan of their Asian-inspired fare. My last day of work of 2014 seemed like a perfect excuse for a celebration, so last evening we traveled the very short distance from our home to the new P.F. Chang’s at Briarwood Mall. Today is Day 1 of my 10-day winter vacation. Woohoo! 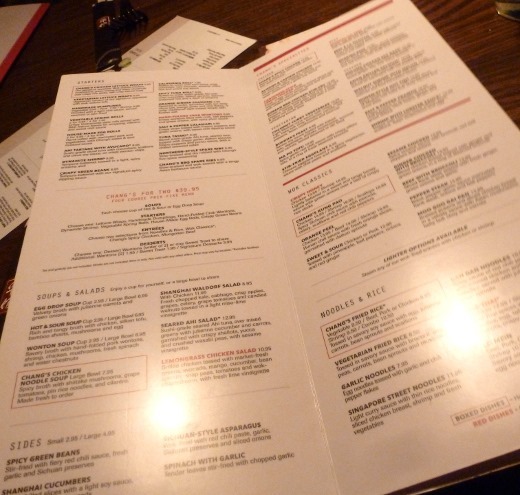 The menu currently features a fairly large variety of options – from classics like Chang’s Chicken Lettuce Wraps, to newer upscale options like Oolong Sea Bass and Walnut Shrimp with Melon. Since there has not been a location very close to Ann Arbor until now, my visits to P.F. Chang’s for the past few years haven’t been all that frequent, but I noticed many new items on the menu that I didn’t remember seeing at my last visit (to the Northville location) several months ago. 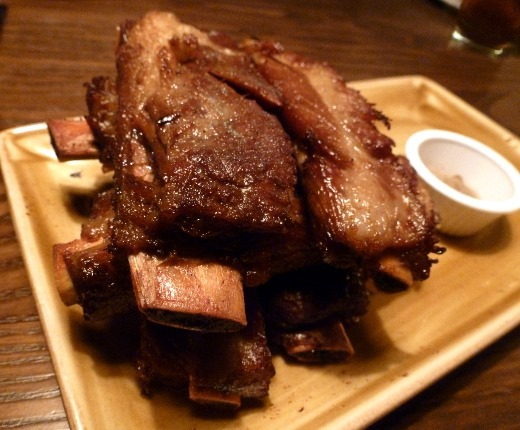 The ribs were quite tasty and it was evident that they’d been gently slow-cooked, as no fatty bits remained – just tender, meaty bites. A quick sear on the exterior added a mildly sweet layer of crisp caramelization, and the five-spice dry rubs that accompanied the ribs definitely made the dish. 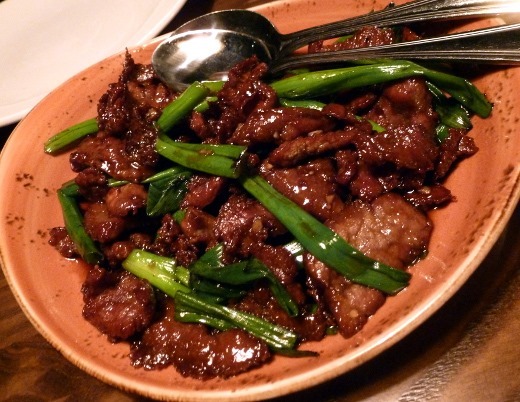 I’ve been inspired to try cooking with Chinese five-spice at home! Must get some soon. These are so crazy good and it’s always fun assembling your own lettuce wraps. I always need to ask for more lettuce though – I kind of wish they would just set you up with plenty right off the bat. But anyways, these chicken lettuce wraps were even better than I remembered. P.F. Chang’s offers over 24 wines by the glass, several beer options including a few local craft options, and many specialty cocktails. To appease my recent coconut kick, I ordered this sweet, creamy coconut cooler, which was very refreshing paired with our savory meal. P.F. 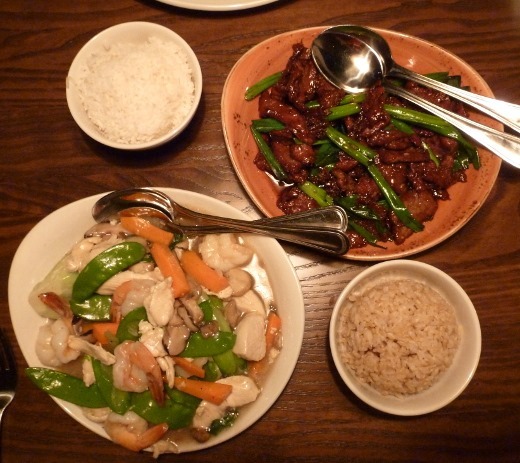 Chang’s serves their entrees family-style, and patrons are encouraged to share amongst their tables. 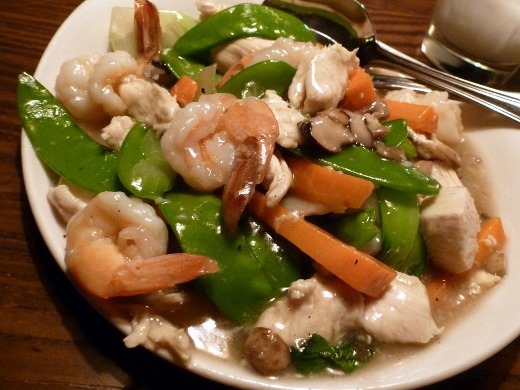 Loved the prawns and all of the fresh veggies in this dish. The sauce was very mild in flavor. I’m glad we did because I loved this flavorful entrée! Perfect combination of sweet and salty – umami! 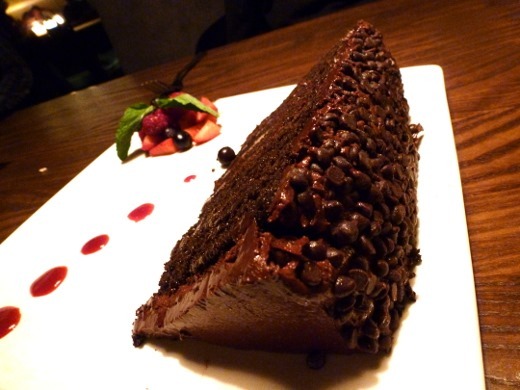 And, because the evening was a celebration, we ordered the Great Wall of Chocolate for dessert. We made a dent, but definitely had to bring some home with us! I should also mention that we had superb service during our meal, which really made the visit. I can definitely see us returning to P.F. 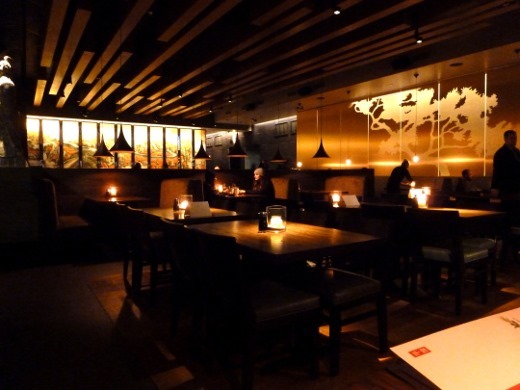 Chang’s in the future, when we’ve got a hankering for Chinese food and want to dine in a nice atmosphere. 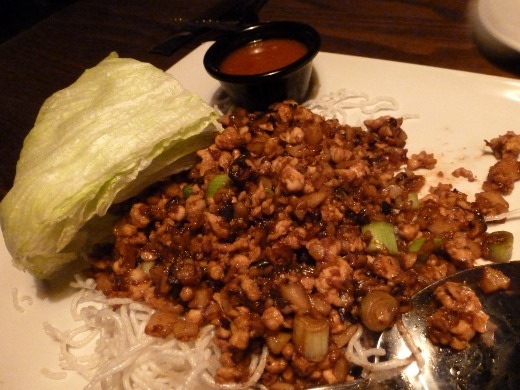 I need more lettuce wraps ASAP! I received a free meal at P.F. Chang’s in exchange for posting my honest thoughts here on the blog. As always, all opinions are my own! Thank you P.F. 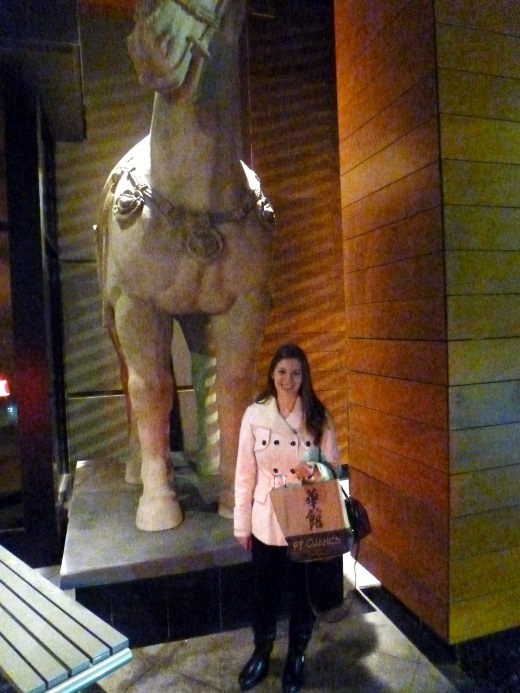 Chang’s for hosting us! Ha! Got my post out b4 u! It really is a nice atmosphere. Ive lost track of how many tines we wanted Chinese but opted for something else because of atmosphere. Oh SNAP – you did! Boom. Looks like a delicious dinner ! 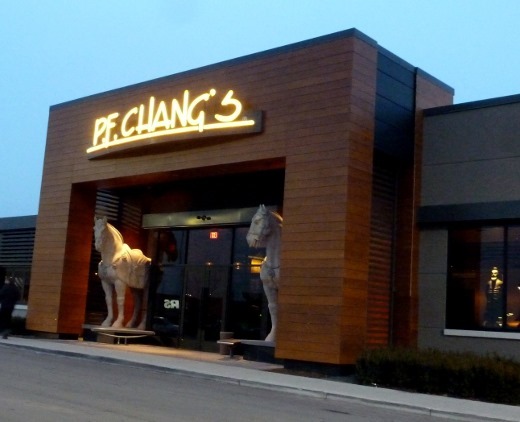 Now I am in the mood for Chinese food ( P. F. Chang’s is about the best I’ve eaten ) !! 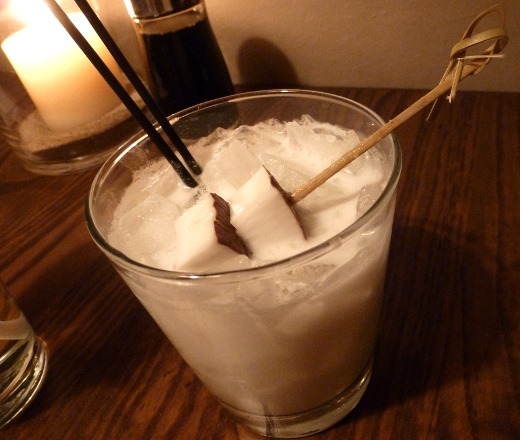 That coconut drink looks yummy. You are brave to nibble on those peppers!